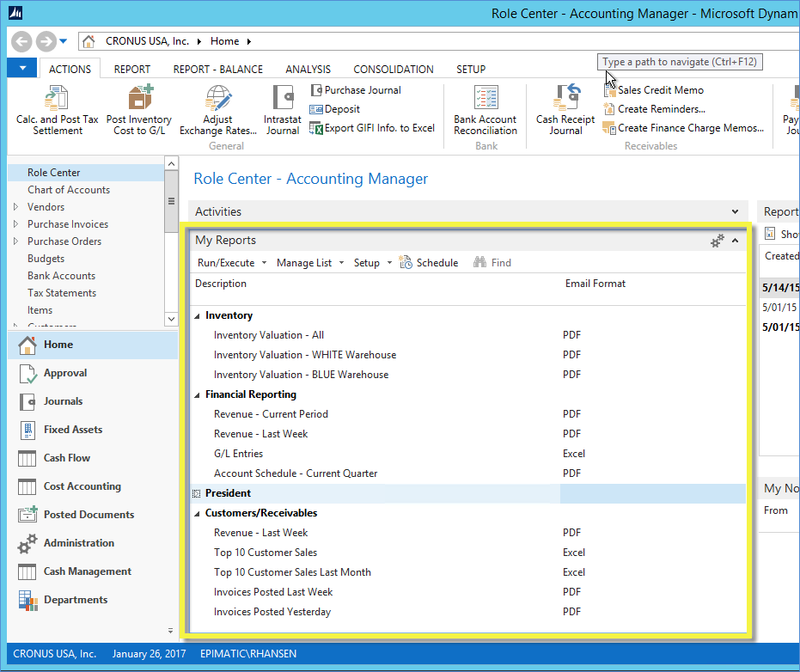 If you never use reports in Microsoft Dynamics NAV, you don’t need ReportPath. Everybody else does. So, what does ReportPath do? While the product has a number of significant capabilities, the most obvious immediate change for users is a “My Reports” part on every role center. Users can finally save variations of report settings (filters and options) under different names. Stop running the Account Schedule report 10 different ways each week and entering different settings each time. No longer worry about updating date filters on reports…save the setup and let ReportPath handle it. Quick double-click shortcuts to run all your reports directly from your role center…it doesn’t get much quicker or easier. Not even close! ReportPath adds a slew of other capabilities, all around getting data out of NAV more easily. Some of the key features are listed below, with links to more details where applicable. Don’t be. Our goal with ReportPath was to price it reasonably for an exceptional value proposition. We believe it should be in every NAV database, and want to make that possible. Feel free to contact us with pricing inquiries. We sell exclusively through NAV partners/resellers, so by all means run this by your partner. If they’re not already a DynamicsPath reseller, we’ll be happy to get them on board.